Clock in & out with the tap of a button - anywhere, anytime. Mantis frees you from manually managing your employees' time cards. Your employees clock in & out by a simple tap of a button. You can stop spending your time manually inputting employees’ hours. Manually inputting your employees' hours is not the best use of your valuable time. Mantis keeps track of your employees’ hours – automatically. Coming soon: payroll system export. Your employees do not spend their time in the office, so neither should your time tracking system. Employees can clock in from the jobsite or you can clock them in from any computer. Arrange your employees into teams, view statistics & report on a per team basis. Company admins & Team admins (coming soon) can manage the clock in & clock out status of their team members. Every small business with mobile employees faces the challenge of tracking their location and hours they worked without wading through mountains of paper timesheets. Mantis makes overcoming these obstacles easy by leveraging the power of your employees’ mobile phones to handle clock-in, clock-out and time card management. 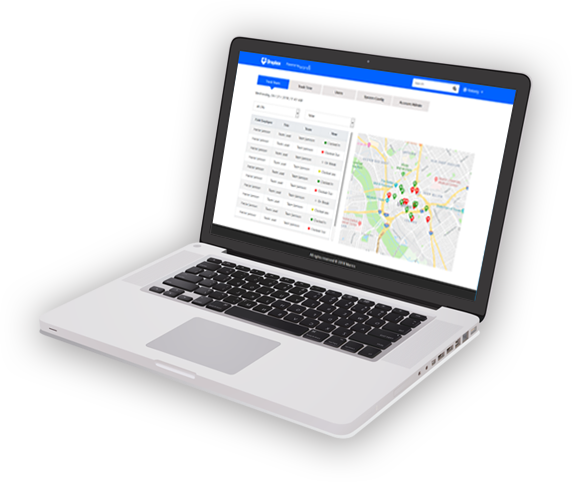 You can see where your employees are now, and where they are when they check in/out each day. You can review your teams’ time sheets each pay period, make any adjustments necessary, and download a comma-delimited file that can then be uploaded to your payroll system. No more wasted time. No more paper. Mantis is a small team of entrepreneurs who wake up every day consumed with helping you manage your business better. Our product came from a passion to help our friends who own small businesses; we found that managing employees and payroll can be a real headache for a small business owner. Our goal is to alleviate those headaches so you can focus on what is important to you: growing your business. How can I help you? Get in touch!